What was perhaps the strongest storm to hit the Shore area since Superstorm Sandy left locals buried and chilly, but otherwise safe. The nor’easter dropped 20 inches of snow in Brick Township, the highest amount recorded in Ocean County. Toms River received 17 inches and Manahawkin piled up 13.5 inches. Coastal flooding affected some locations worse than others. The worst was well south of Ocean County, in areas including Ocean City, Sea Isle City and Wildwood, which were inundated. While there was scattered street flooding across the barrier island and mainland bayfront neighborhoods, there were no reports of significant property damage. 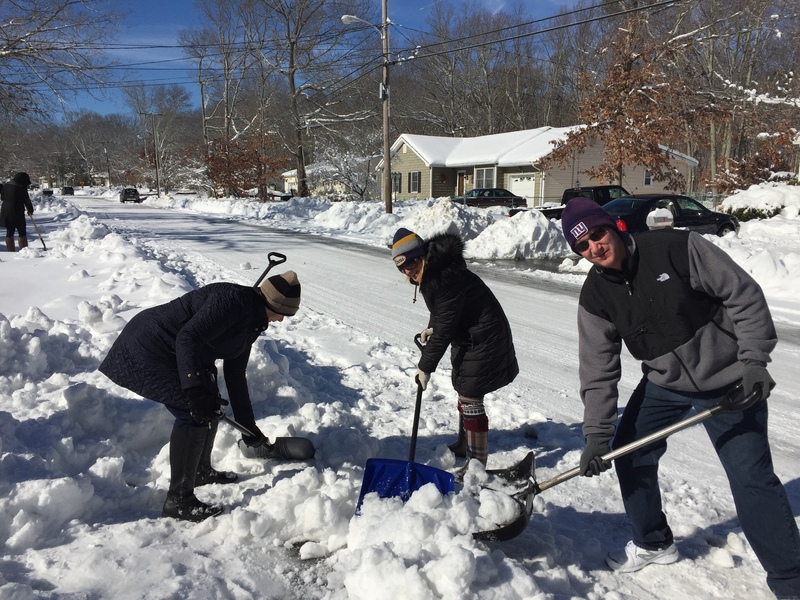 Brick officials were working around the clock to clear snow in what they called one of the largest snowstorms in township history. “We will have 110 pieces of equipment working around the clock until streets are cleared,” the township said in an announcement. The steel wall revetment at the oceanfront kept the high tide from breaching, and flooding was minimal. 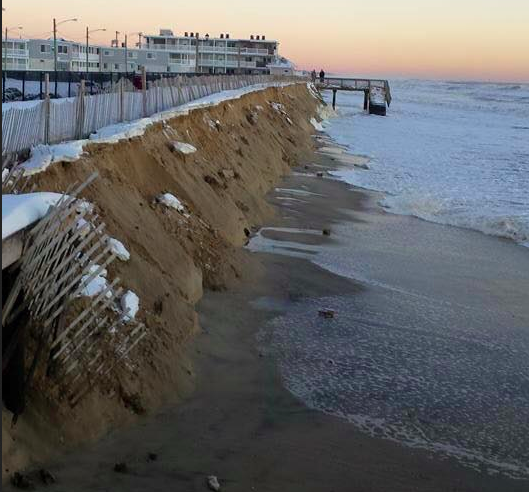 In Ortley Beach, the ocean stopped just short of breaching the township’s makeshift dune, following hours of fears that ocean water would go streaming down streets. The tenuous situation led Gov. Chris Christie to lash out at property owners in neighboring Bay Head and Point Pleasant Beach who have refused to sign easements allowing a permanent protective dune to be constructed island-wide. 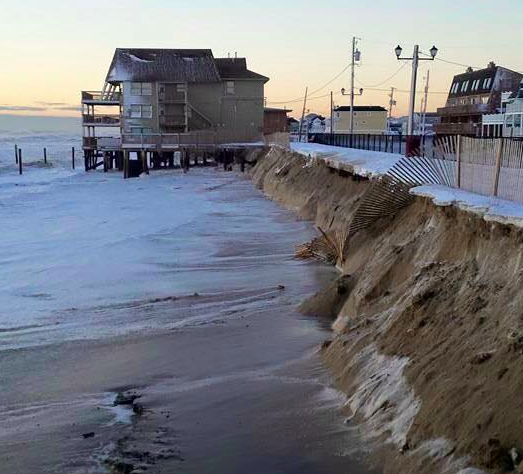 There was “no major flooding” in Seaside Heights, borough administrator Christopher Vaz said.